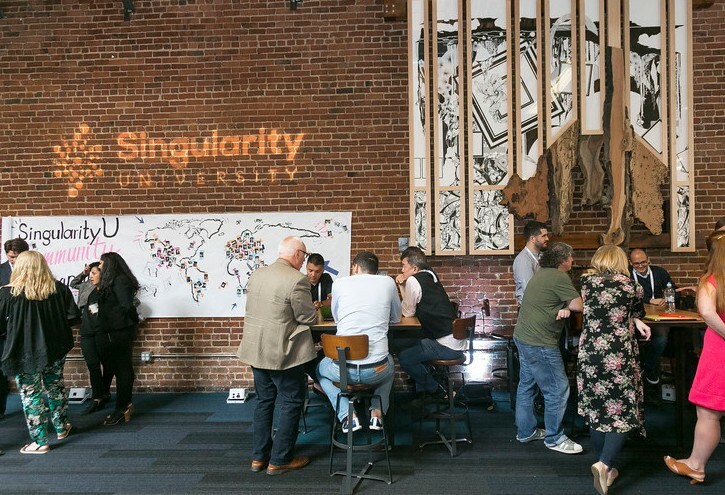 The Singularity University community is focused on using exponential technologies for social impact. Today marks the benchmark of 116 SingularityU Chapters in 61 countries. There is a global network of over 450 volunteers who lead local events, building a better future utilizing the tools of exponential technologies. We have 9 new Chapters and 10 renewal Chapters, for a total of 19 Chapters announced today. These communities are now in 4 new countries: the Philippines, Portugal, Saudi Arabia, and Vietnam. The quarterly Chapter application is open today, July 11th until August 8th. Start your application or learn more here! Colombia is shifting from being a viewer, to a protagonist of its destiny. We are changing from waiting to be saved to being creators of our path: and there’s no faster route for change than leveraging our experience solving problems on a developing country with the power of exponential technologies. As SU chapter leaders, we feel grateful to facilitate SU`s resources and network to alumni and people that want to connect with SU for the first time and learn about the abundance mindset. Awareness of the world, trends, and inspiration to solve our biggest challenges using technology. We want to spread the exponential mindset to 1 million people in our country and influence key leaders to become game changers for our country. “I am fascinated with AI, block chain and robotics technologies, and getting involved is the best way to learn more these fields. It is my honor to lead the SU Chapter in Ho Chi Minh; this is a great opportunity for me and many other people to advance our knowledge. This SU chapter is a hub for people to learn and share, thus growing exponentially to new levels. “AI technology has my interest because of its great potential in advancement of humanity. I believe AI is the path leading to the future for its rapidly evolving applications in daily life. “AI technology is the future of humanity. The vast application of this technology is helping people all over the globe to create solutions for many issues, thus fundamentally changing the way we live making the world a better place. Mahatma Gandhi once said “Be the change you wish to see in the World”; I want to join SU so I can be such change. The organization will enable me to connect many people so we all can share and learn from each other to grow together. We are at a turning point in the country’s history. Vision 2030 is paving the way for exponential transformation of the economy and society alike. The initiative to open a Singularity University Chapter in Jeddah could not have come at a better time. We believe in the power of networks and Knowledge Sharing and the importance of exponential technologies to help reach our strategic goals and vision. Our aim In SingularityU Jeddah Chapter is to participate in the historic movement happening in KSA (vision 2030) by introducing topics in breakthrough and accelerating technologies to the local community (youth, investors and decision makers). We aim to provide the resources, tools, and platform for individuals to connect and to empower them to tackle local challenges. “The goal of our SU chapter in Salamanca is to ignite an era of innovation, risk-taking, and future envisioning, in a city that for over 900 years has been a center of culture, academia, and research in Europe. We are engaged in preserving this ethos and carry them to the future, and with the support of the local community, position Salamanca as a reference in Spain and Europe. With over 20.000 university students we have the opportunity to create impact in the next generation, with a particular focus on female- driven innovation and leadership”. SingularityU Trieste is the local chapter of the Singularity University. to bring the innovation ecosystem of Trieste including neighbouring areas to the next level of disruption. We are a group of innovators, visionaries, entrepreneurs, academics and leaders who are interested in exponential technologies and their positive impact on the society and the world. Trieste with its geopolitical position, special history, high concentration of researchers is the ideal fertile ground for the SingularityU values. “I’m honored to be the ambassador of the SingularityU Venice Chapter for the second year. My experience in SU, back in 2014, has represented a turning point in my life and career. Since then I’ve redesigned my personal and professional paths in the direction of a greater involvement and responsibility towards social causes. We have always been passionate about the future of society, the impact of technology and innovation. The world is at the verge of its fasted and most-impactful transformation ever. Leading the Zurich Chapter means we can bring these topics closer to the peoples’ hearts in Switzerland and not only make them aware about the upcoming change, but also give the them knowledge and tools to actively shape their own future. Our goal is to build a vital and engaged abundance-minded community and we will leverage it to benefit the whole ecosystem. Senior Director of Community Leadership at Singularity University. Stories from Singularity University and the SingularityU community.